Each year various companies study what exactly kids and teens want for Christmas in order to develop marketing plans and this year the results are not surprising at all. 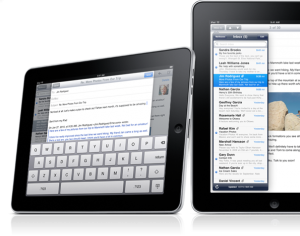 On the top of list are two iOS devices which are wanted by a significant number of children, the iPhone 4S and the iPad 2. Both of these are already incredibly popular devices and the Christmas season is often when they sell even better, so it comes as no surprise that they’re among the top. It is surprising though that they are not just part of the top 10, but actually number 1 and 2. Very rarely do devices such as these make it to the top so clearly Apple is doing something right with how they attract attention from kids. Parents, don’t be surprised if your children want an iPad because according to this information, nearly all kids do.